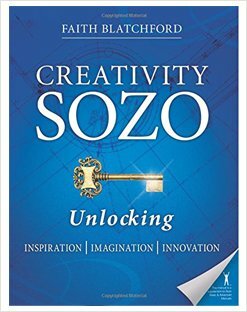 This manual walks you through a 5 Step Process that will help unleash your creative potential. Faith Blatchford, founder and president of Age To Come is a writer, composer and speaker. Whether through her music CDs, books, teaching, pastoral counseling or prophetic ministry, her intent is to facilitate encounters with the presence of God. She graduated with a B.A. degree from Vassar College and is also a graduate of BSSW and BSSM. As a regional director of Bethel Sozo, she serves as a counselor at Bethel Church Transformation Center and is part of the Bethel Activation Ministry team.